This soft, stuffed fabric toy is great to fetch and tug on both water and land. The kernmantle rope handle makes it easy to pick up, easy to throw, and reduces the slobber factor. Ruffwear partners with PLUSfoam™ Compound Technologies to produce Lunkers with a center core made from recycled foam. This soft, stuffed fabric toy is great to fetch and tug on both water and land. 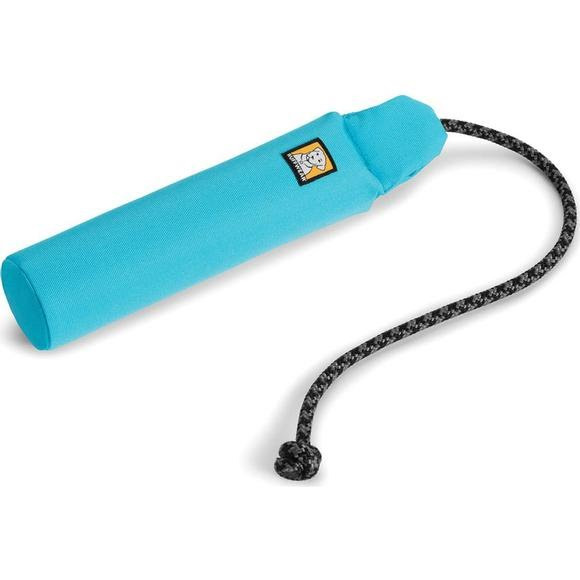 The kernmantle rope handle makes it easy to pick up, easy to throw, and reduces the slobber factor. Ruffwear partners with PLUSfoam™ Compound Technologies to produce Lunkers with a center core made from recycled foam. And, when your Lunker is ready for retirement, the entire toy can be sent to PLUSfoam™ to be recycled and reused in new products. Ruffwear Lunkers are recycled and recyclable!